Bean's Quest, a popular platformer for iOS is now heading to Linux. Bean's Quest is a gorgeous 2D platformer with a twist! Emilio has been cursed and his girlfriend kidnapped! Transformed by dark magic into a jumping bean, Emilio must bounce his way to victory through 50 levels spread over 5 worlds. Can Emilio rescue his one true love and find his missing pet axolotls? Bean's Quest is available for Windows, Linux and MacOS X. The game has some pretty sweet retro graphics and awesome soundtrack. Check out the video below. 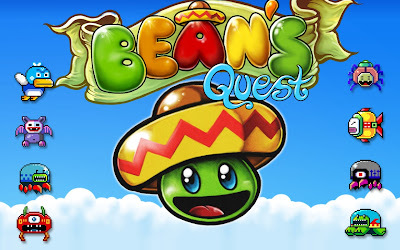 Bean's Quest can be pre-ordered for $4.99 from Desura and you will get access to the full game on Feb 26th, just four days from now.